Multiple people have called him a hero. The company he works for says he saved a life. The way Derek Bailey sees it, though, what he did Sunday morning was nothing more than the right thing to do. “Everyone’s been saying ‘You’re a hero; you’re a hero.’ I don’t consider myself to be a hero,” Bailey told reporters in Edmonton Monday. Bailey was driving an Edmonton Transit Service bus around the city when he noticed a man slumped over in a bus shelter. Drawing on his knowledge as a former emergency medical responder, he quickly realized that the man was trying to keep himself warm at a time when the wind chill was below -30. “He literally looked like he was more than half frozen,” Bailey said. Bailey brought the man onto his bus and started to assess him, understanding right away how serious the situation was when he was barely able to detect a pulse. “He had multiple layers of clothing on, but he looked like he had frost all on his face. His beard and everything was all covered with icicles,” Bailey said. The man said he had been outside all night in the extreme cold. He initially declined Bailey’s offer to call him an ambulance, struggling to get any words out as he said he’d rather go to a drop-in centre. Bailey again urged the man to let him call an ambulance, and the man agreed. Bailey and other passengers then sat with the man and warmed him up by rubbing his hands and shoulders as they waited for paramedics to arrive. Four passengers asked Bailey for his bus and employee numbers so they could report his good deed to his employer. Bailey said he didn’t learn that his actions had made headlines until he showed up at work Monday morning – at which point his instinct was to check the news coverage to find out what happened to the man, not to see what it was saying about him. “I was really relieved to hear that he’s in stable condition,” Bailey said. 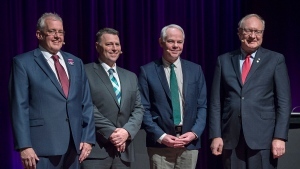 Bailey said Sunday was not the first time in his bus-driving career that he had put his medical training to use. He said it is not unheard of for people to walk onto a bus and ask the driver to call 911 due to a medical emergency – something he would consider ordinary, not heroic. “If I see someone in a time of need or distress, I would always stand up,” he said. 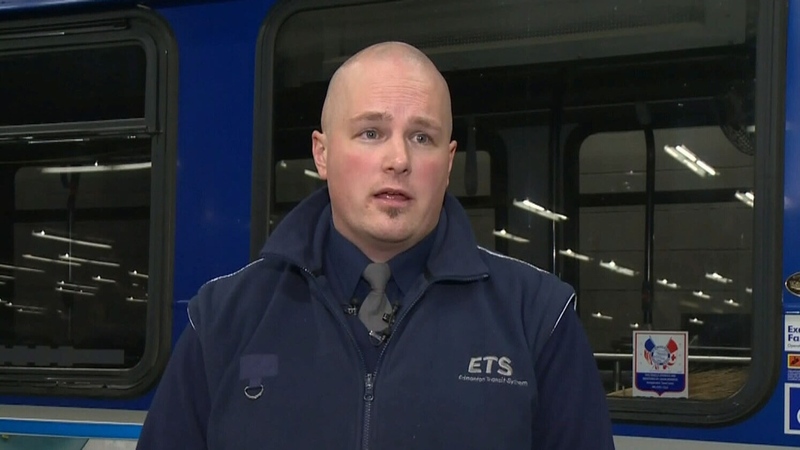 Derek Bailey, an Edmonton bus driver who has been credited with saving the life of a man he found slumped over in a bus shelter, says he was just doing the right thing.